A home to call your own — it’s a place to raise your family, build your life and create a better future. 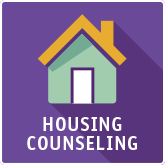 Let our HUD-approved housing counselors help you make the dream of home ownership a reality. Pre-Purchase Counseling : For first-time buyers, the process can seem overwhelming. We’ll walk you through what to expect and help make sure you’re ready. Our counselors will review your credit report, help you determine how much home you can afford and work with you to create an action plan to start your home-buying journey. Homebuyer Education & Certification : Not quite ready to buy? Join our six-month Homebuyers’ Club. You’ll attend one workshop a month, learning how to shop for a home, work with a realtor, improve your credit score, reduce debt, create a budget and more. At the end, you’ll receive a certificate that satisfies the requirement for home-buying assistance. Mortgage Referrals : Without good credit, it’s hard to get approved for a traditional mortgage. We can recommend lenders who may offer options designed for your home-buying situation. If you have a good history of paying your bills, you may qualify for one of these mortgages. Foreclosure Prevention : Are you struggling to make your mortgage payment? We can work with you and your lender to help you keep your home. We’ll review your household budget, make suggestions for reducing expenses and connect you to any resources that may help. Down Payment Plus : Are you a Down Payment Plus recipient? 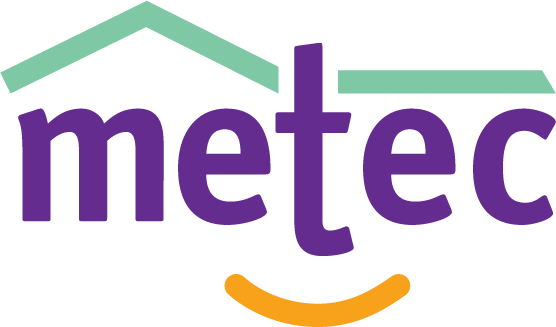 You can receive online counseling at ehomeamerica.org/metec.